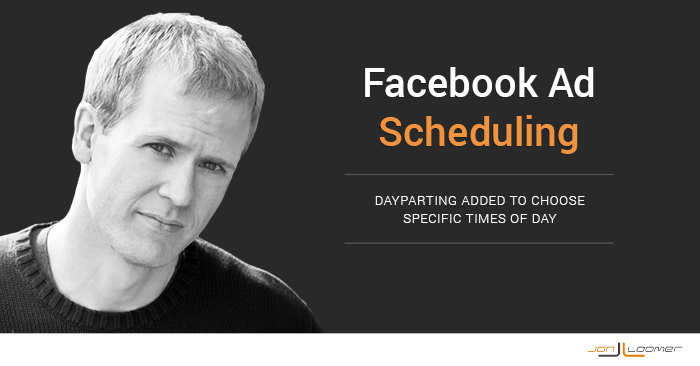 One question I’ve repeatedly received from advanced Facebook advertisers involves dayparting: They want the ability to choose which times of the day to advertise and eliminate undesirable times. Such a request comes mainly from those familiar with Google AdWords, where the feature is available. The thought is that certain times of the day are more effective than others, and dayparting limits waste. Such a feature was not available for Facebook advertisers. Until now! First, know that this functionality is currently only available in Power Editor. While the main ad create tool has closed the gap lately in terms of functionality and is more useful than it’s been before, this is yet another reminder of why you need to be using Power Editor. This feature will undoubtedly be rolled out to the ad create tool eventually, but it’s not there now. And if you want to advertise like the cool kids, you need to use Power Editor. You’ll be able to select specific times of the day to run your ad from the ad set level. 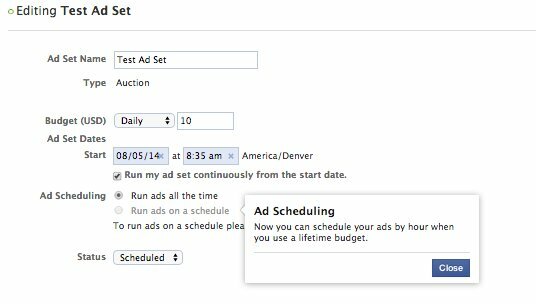 Remember that ad sets allow you to set budget and start/end dates for a group of ads. Show your ads to the right people at the right time. 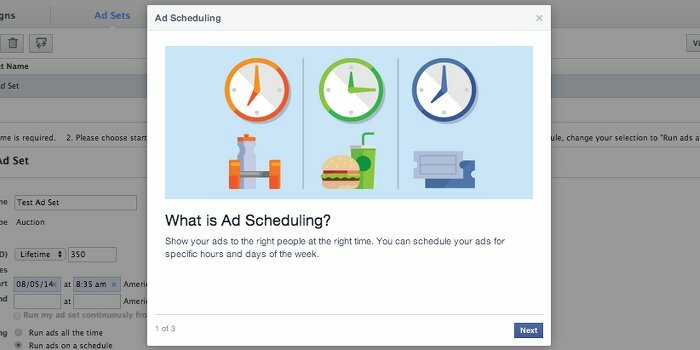 You can schedule your ads for specific hours and days of the week. 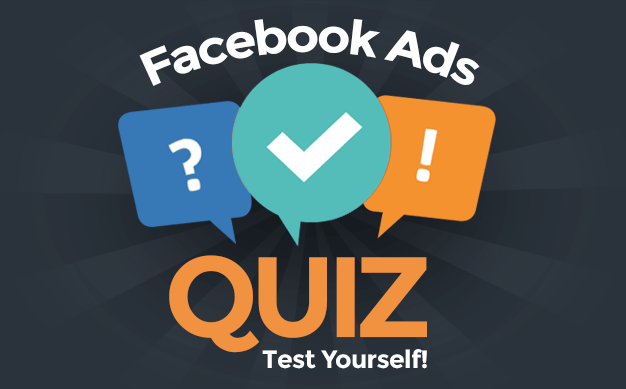 Your ads will be served your audience’s time zone so you get the results you want. All your important insights, reports and billing will show in your ad account’s time zone. This keeps information consistent across your account. Select specific hours by clicking on the box representing the hour and day you want. Or you can click and drag to select a series of hours. Clicking Every Day lets you schedule the same time for each day of the week. You can also select entire days by clicking All Day. Note that you can only run this type of scheduling when you select “Lifetime” as your budgeting option. I don’t personally use lifetime, so this will be an adjustment. 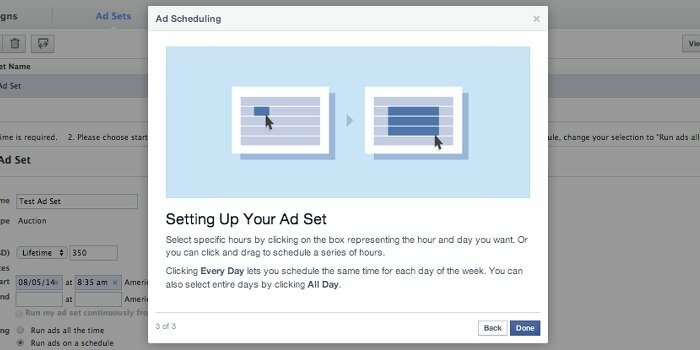 You’ll want to select the radio button for “Run ads on a schedule.” Then manually choose the specific times and days you want your ad(s) to run. I’ve always been skeptical of the feature. The reason is that I’ve felt that some advertisers have had the wrong motivation for using it. For example, they’ll assume their audience is online between 10am and 6pm, so they’ll want to focus their ads during those times. But does it really matter when your audience is reached? Well, that’s the question this will answer. It’s possible, for example, that certain audiences are more likely to read than interact at certain times. Or they may be more likely to buy during non-work hours. All four groups can be reached in this original way of scheduling on Facebook. But now you decide that you only want to reach people between noon and 6pm because you’ve determined that this time is most effective. The result? Instead of potentially reaching 100 people (25 in each group), you can now reach a max of 25. This will certainly impact distribution. As it is, many advertisers are complaining about a decrease in impressions lately. This can partly be blamed on the larger (and fewer) sidebar units. It can also be blamed on increased competition. 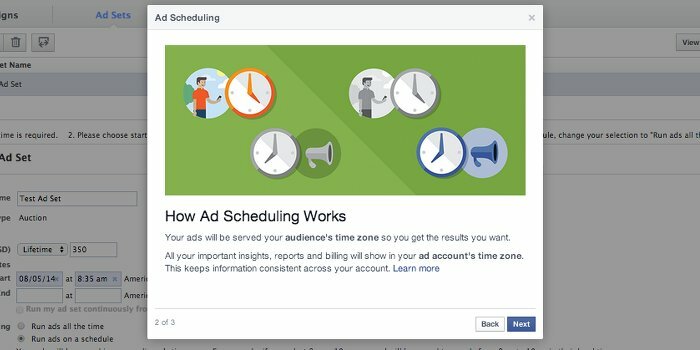 Just be aware that scheduling in this manner may cut the distribution (or at least potential distribution) of your ads even more. Is this a feature you’ve been looking forward to using? Have you started testing it yet?